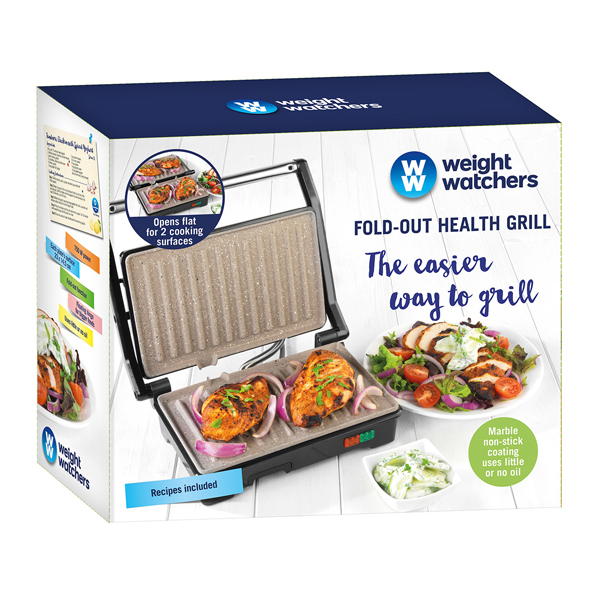 Whip up delicious healthier meals with the fantastic Weight Watchers Health Grill, with a smart fold out design, for two non-stick surfaces to perfectly cook your foods. 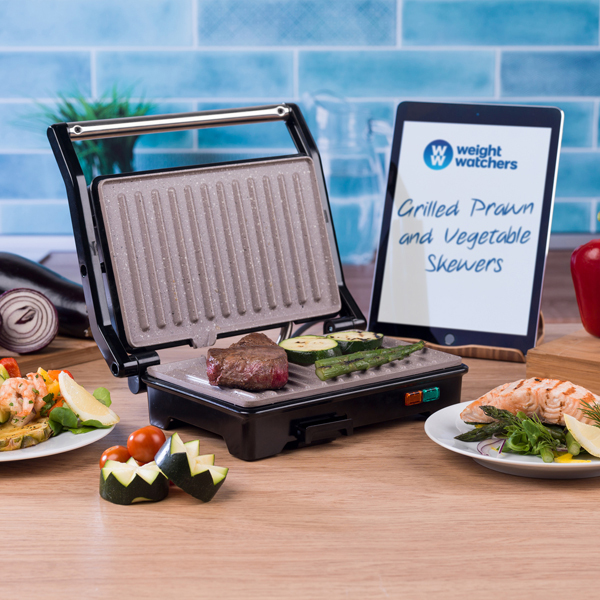 This grill lets you cook with little to no oil and features a channel to easily drain excess fats whilst you cook. 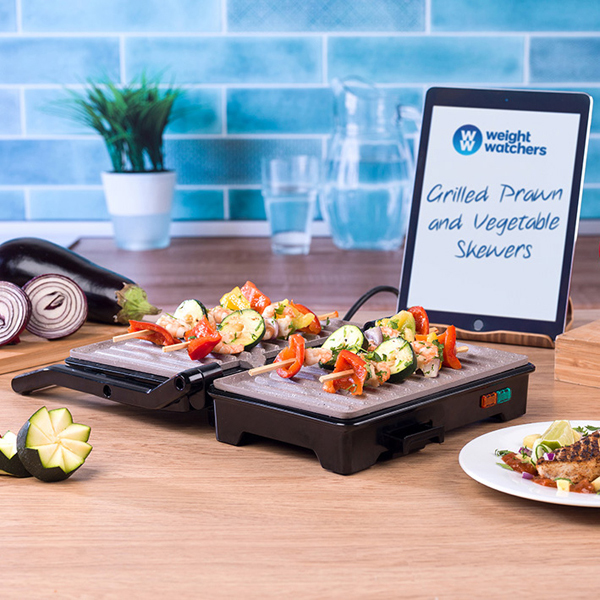 It’s also designed with automatic temperature control and indicator lights, making it so easy to cook all of your favourite foods to perfection! 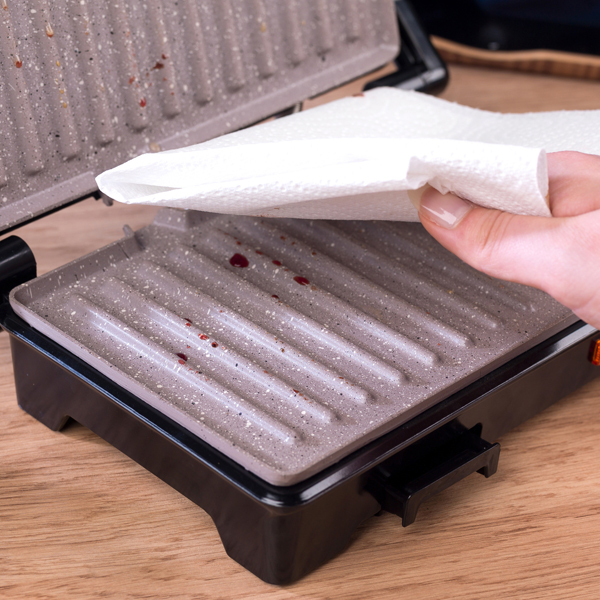 Its floating hinge accommodates a wide range of sizes when it comes to meat, bread and vegetables, for a fully versatile machine that adapts to your kitchen.